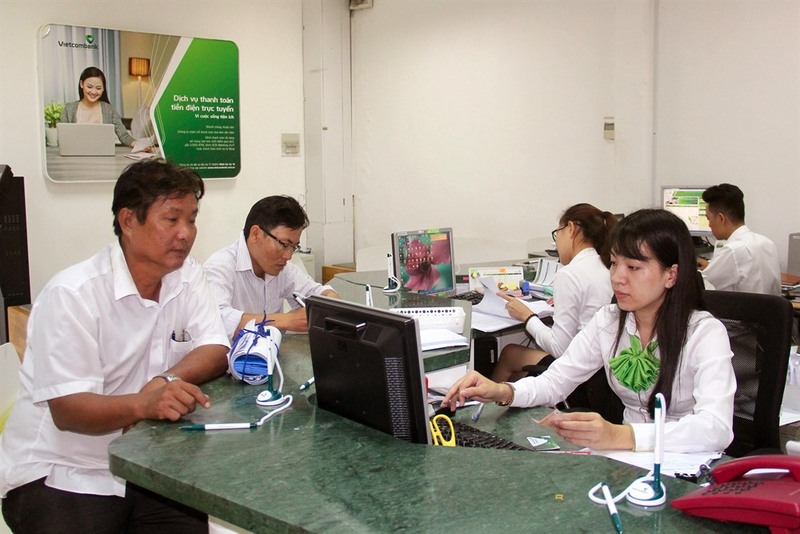 HÀ NỘI — Total outstanding loans of the banking system rose 2.28 per cent as of March 25 and the total means of payment grew by 2.67 per cent compared to late 2018. Nguyễn Thị Hồng, Deputy Governor of the State Bank of Việt Nam (SBV), made the statement at a press conference on the monetary policy and operations of the banking system in the first quarter of 2019 in Hà Nội on Monday. The central bank reported that in the first three months of 2019, exchange rates and the foreign exchange market remained stable, supported by the abundant foreign currency supply, good liquidity in the market, and credit organisations’ continued purchase of foreign currencies from their clients. These have created optimum conditions for the SBV to continue buying foreign currencies to add to foreign exchange reserves, it noted. “It has kept a close watch on credit growth at each institution so as to orient their lending activities towards prioritised fields, ensure that they provide favourable conditions for people and businesses to access and control loans in foreign currencies,” she said. Loans are focused on manufacturing, production, and prioritised sectors. She said that the SBV will continue to steer monetary policy towards ensuring the total means of payment and credit grow by about 13 per cent and 14 per cent, respectively, while taking into account market developments. She added the SBV will closely monitor the restructuring of credit organisations and the settlement of non-performing loans (NPLs), which must be aligned with measures to minimise new NPLs and improve credit quality. Furthermore, the SBV said that it has implemented a number of solutions in the first quarter of 2019 regarding the fields of loans for production and consumption in a bid to prevent loan sharks. The SBV official noted that lending interest rates have been kept stable with short-term rates hovering around 6-9 per cent while long-term interest rates range between 9-11 per cent a year. The central bank reported that as of January 31, the whole credit organisation system had handled about VNĐ204.4 trillion (over US$8.8 billion) of NPLs, equivalent to over 40 per cent of the total. The Deputy Governor said the forecasts of many international organisations on the slowdown of the world economy, affects from Brexit and the Fed’s unchanged interest rate in 2019 seemed to not have an impact on the SBV’s monetary management policies. However, the slowdown in the world economy would have an effect on export activities. The central bank therefore would have policies to support economic growth and production. Peer to peer, or P2P, lending is the practice of lending money to individuals or businesses through online services that match lenders with borrowers. However, current law does not cover authorities to manage this activity. P2P lending has advantages for lenders and borrowers because of its efficiency, but can cause implications for participants due to a lack of control mechanisms.